At 3pm on the Winter Solstice I went to my local Beacon Tree (1). Each time I touch the tree there is a frisson. This time it was like a powerful electric shock running through me. As normal my hearing goes and then returns with all the natural sounds enhanced. However this time the hearing went for longer and the returning sound was sharper. All the trees seemed to be glowing with white light as the increased energy pulsed through them. I had a premonition that this third and final increase of natural energy would go directly into the trees rather than increase their lateral energy fields. I later checked a variety of other trees and this was the case. However the Beacon Tree had increased its energy field. It had doubled the incredible vertical shaft of energy that runs above and below it. All the Beacon Trees have this circulating shaft of energy as well as strong lateral fields. Whatever its size each Beacon Tree is measured by its total height including the root structure. Each tree’s pillar of energy was 12 heights above and below. Now this has doubled to 24 above and below. The Beacon Trees are found along powerful energy lines that criss- cross the landscape. Smaller energy lines are connected to these powerful lines and in turn connect all the trees. I have been set two tasks. The first is to search out the Beacon Trees as in the past these were and are now our main contact with natural energies. The Beacon Trees offer us insight and protection. My second task is to map out in a small area the mass of inter-connecting energy lines that run through the landscape. Through artworks and interventions I will present my findings in order to get others to seek out and make contact with these powerful trees. 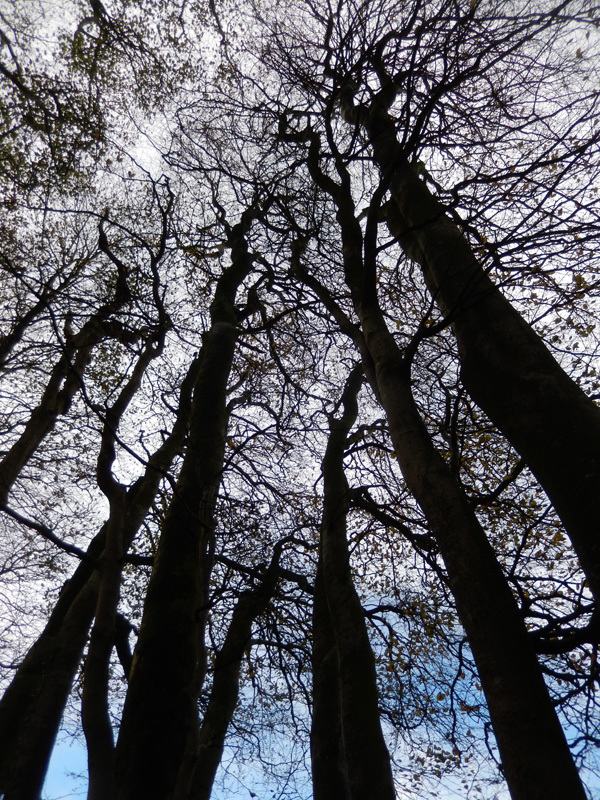 (1) On the fifth anniversary of my experience in the ancient woodland in Brittany I returned to it. This March it was revealed to me that the stream that ran through the wood is on the same energy line that runs through the Blackdown Hills. Along it I found powerful trees which I have named Beacon Trees. All the findings are revealed in my notes in ‘The Dragon Line’ file.